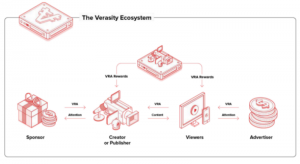 Verasity offers a blockchain-based platform which supports the infrastructure and tools for video publishers to serve rewarded video and loyalty programs to viewers. It has now integrated its Video Rewarded Player with Vimeo. In effect, this means publishers can serve up content over Vimeo while proffering rewards directly to viewers. With >1 million publishers and sites, 260 million users and 50 billion monthly views, Vimeo is a major video market player. Many challenges exist with the online video space today. Verasity is building a new model where publishers and viewers transact directly on a blockchain. The attraction is this removes many of the needs for intermediaries. The VRA token is a new medium of exchange which rewards video creation, and the viewing of videos. Anyone watching videos can earn VRA tokens. If they choose to watch adverts, or share videos with their network, they receive additional VRA tokens. viewers receive rewards for their attention. This combines engagement, audiences and revenues with publisher sites. 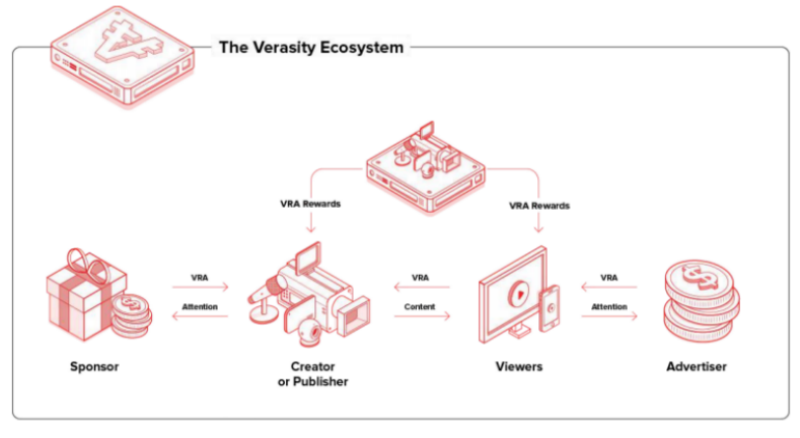 If successful, Verasity’s attention-based model will establisih a VRA token economy with attractions for viewers, publishers and advertisers. little or no viewer engagement. At the same time viewers gift their privacy for a tiny return. investors to participate in VRA tokens, whether in the long-term or for the shorter term. enables direct value exchange between video viewers, publishers, advertisers and brands. It sounds beguiling. The attractions of eliminating middlemen, which Verasity advances, is one of the most often touted benefits of blockchain. Yet Enterprise Times’ doubts about tokens, and whether they can play the part that their promoters desire, remain.